Hello lovely crafty bloggers (and blog readers :-) ) Welcome to our fortnightly creative Blog Hop! 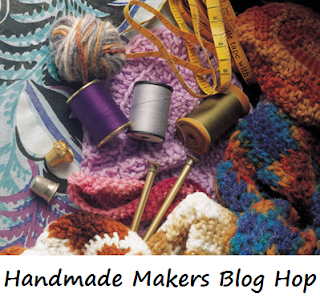 This fortnight's Handmade Makers Blog Hop is now open to receive your wonderful blog post links from wherever you live in the world. We would love to hear about your recent creative happenings and musings - link up your blog post below to share with our readers. And please feel free to share our hop with your own readers too - let's share the handmade love! Open for submissions from 12 June through to 10am 20 June - but readable always. You can view past Blog Hops here.